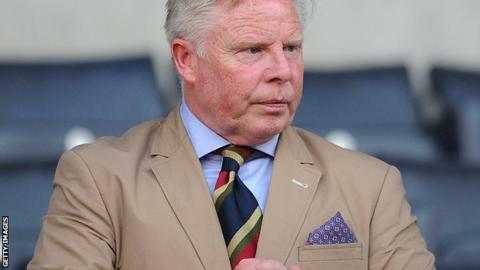 Sammy Lee has reversed his decision to join Brighton & Hove Albion as their assistant manager to take a coaching role at Southampton. On Friday, the Seagulls announced manager Sami Hyypia had appointed Lee and goalkeeping coach Antti Niemi. But in a statement on Sunday, Brighton said Lee, 55, had taken a job working with new Saints manager Ronald Koeman. "It is extremely disappointing for the club and Sami Hyypia," said Brighton chief executive Paul Barber. Former Liverpool midfielder Lee was on the coaching staff when Hyypia was a player at Anfield. He had a short spell as an England coach under Sven-Goran Eriksson before joining Bolton in 2005, briefly managing the Trotters in 2007 before rejoining Liverpool. Lee returned to Bolton in 2011, where he was head of academy coaching and development. "Nobody at our club or Bolton Wanderers was aware of any interest from Southampton until several hours after we announced Sammy's appointment," said Barber. "Having already agreed his contract and terms with us to start work on Monday, we could have insisted on Sammy serving a notice period. "But we all feel it would have been counter-productive to do so. And, while it's incredibly frustrating for us, we wish Sammy well." Hyypia was appointed by Brighton on 6 June, 10 days before Koeman took up his role at Southampton.